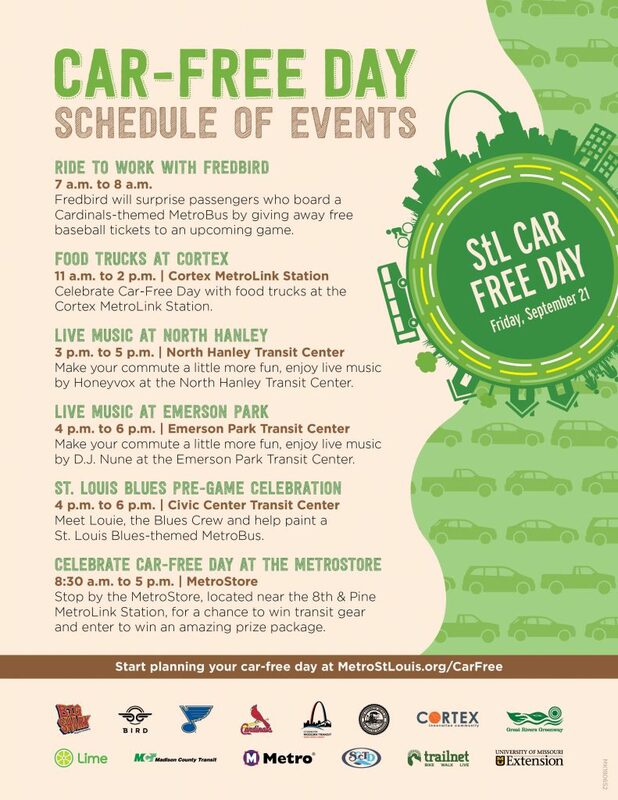 The “New American Road Trip” is partnering with Metro Transit and other organizations throughout the St. Louis region to highlight the importance of sustainability and creating healthier, more equitable and environmentally friendly communities, and will host a special event in the Cortex Innovation Community on STL Car-Free Day, Friday. 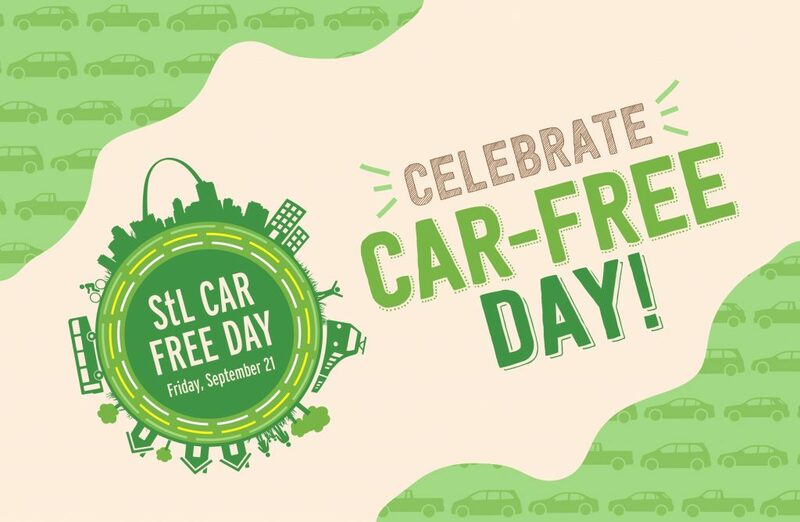 The “New American Road Trip” event is part of a slate of special events scheduled across the bi-state area for STL Car-Free Day on Friday, where visitors can win prizes, enjoy food and music, and have fun while learning about the benefits of a car-free lifestyle and all of the alternative transportation options available to them. Area participating partners include Big Shark Bicycle Company, Bird, City of St. Louis, Cortex, Great Rivers Greenway, Lime, Madison County Transit, Metro Transit, RideFinders, St. Clair County Transit District, Trailnet, University of Missouri Extension, St. Louis Blues and St. Louis Cardinals. STL Car-Free Day begins during the early morning commute on Friday with a visit from Fredbird, who will surprise passengers on one of the area’s MetroBus routes with free tickets to an upcoming Cardinals game, followed by a lunch-time Transportation Pop-Up in the Cortex Innovation Community with food trucks and information from regional transportation partners. Metro Transit riders heading home or traveling to Blues and Cardinals games in downtown St. Louis that evening will be able to enjoy live music at the North Hanley and Emerson Park Transit Centers, and the St. Louis Blues will host a car-free, pre-game celebration at the Civic Center Transit Center with Blues mascot Louie, the Blues Crew and a Metro Arts in Transit bus painting.